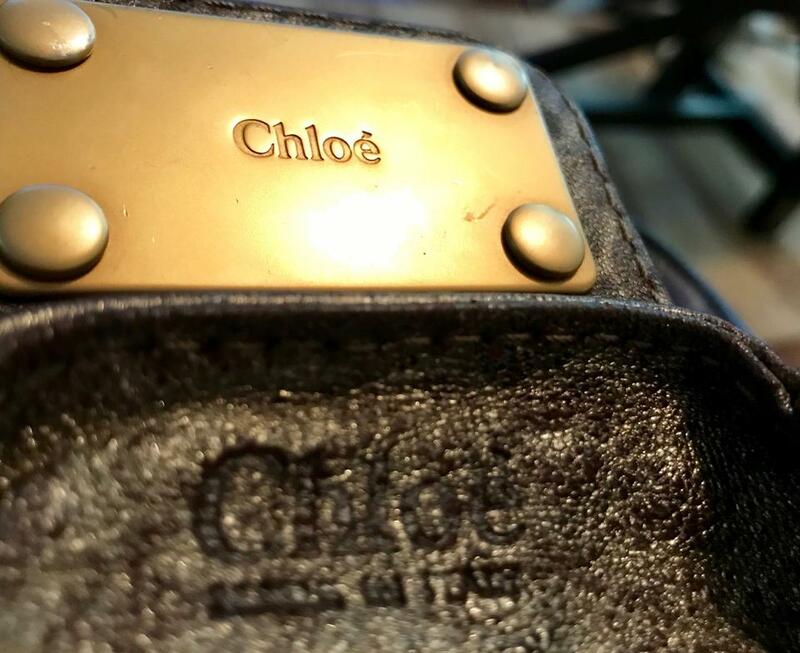 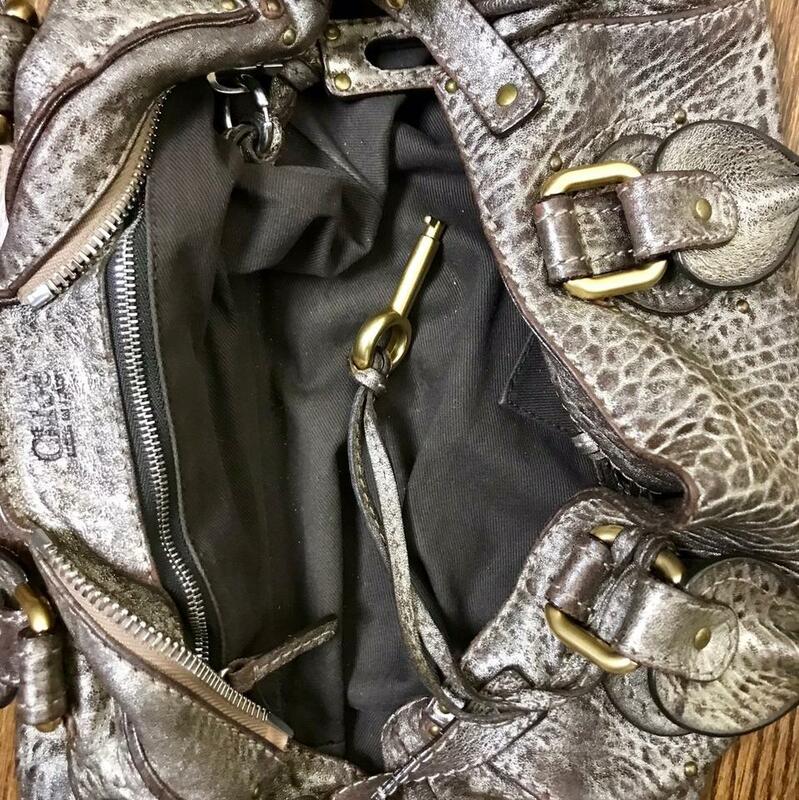 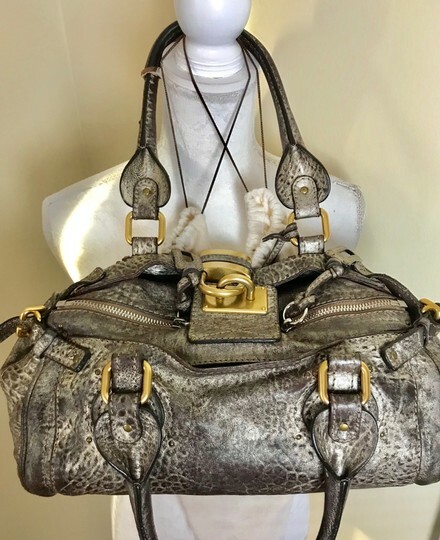 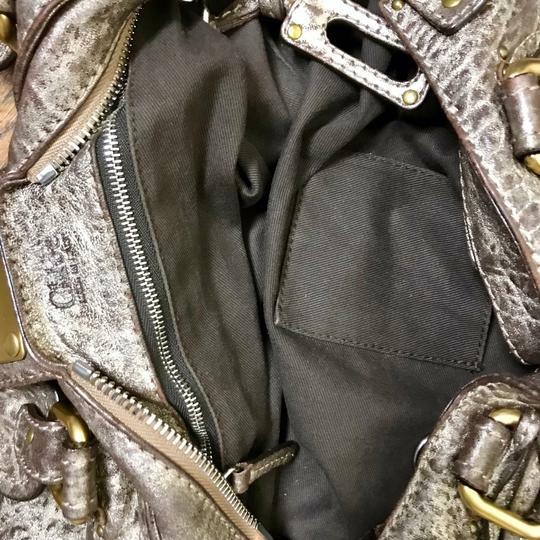 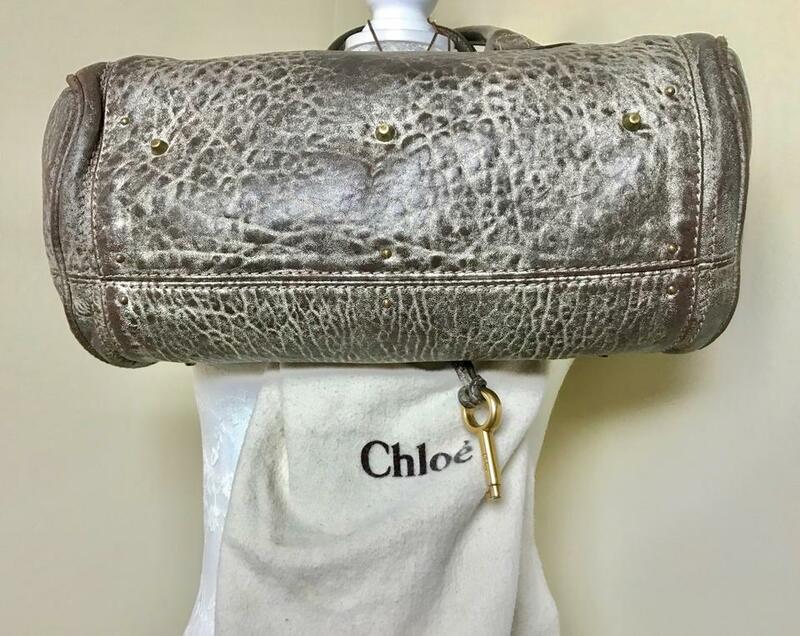 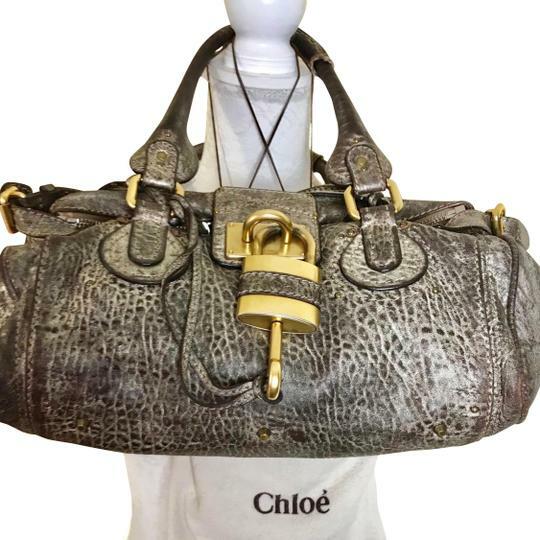 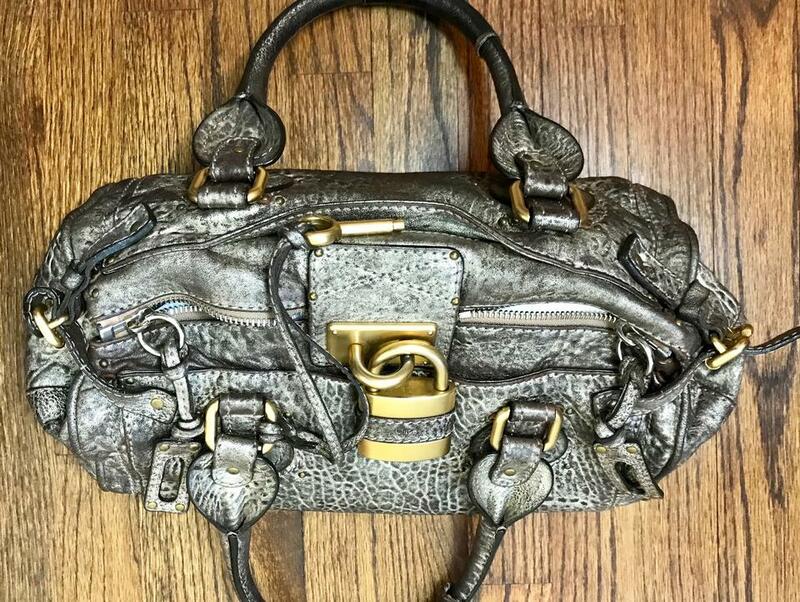 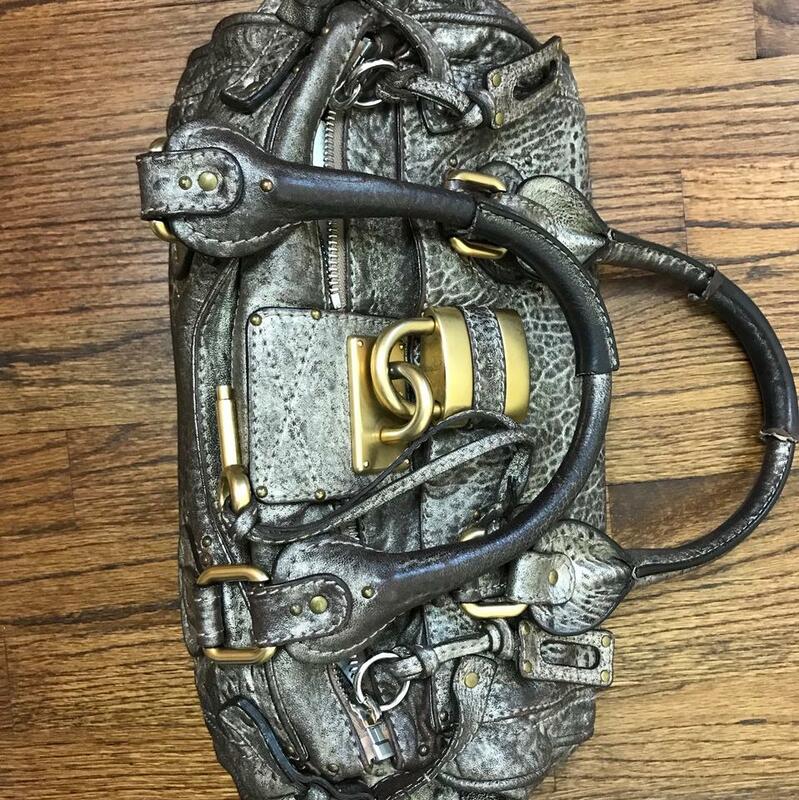 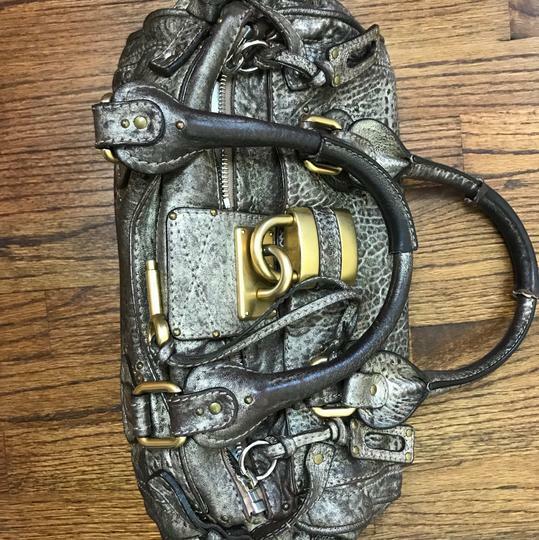 Authentic Chloe Pattington lock bag in unique distressed metallic “gold/silver” soft, textured leather. 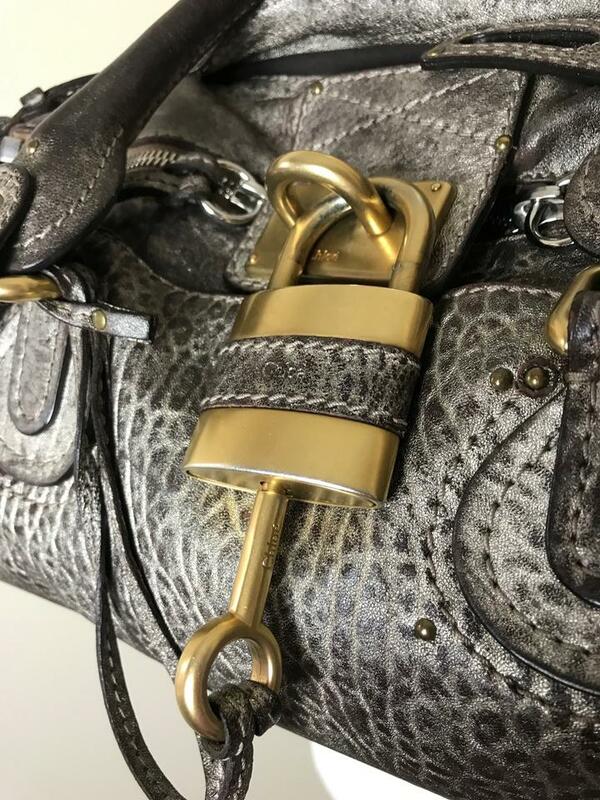 It’s intricate design, donned with an oversized matt-gold signature padlock and key, is eye-catching yet functional for daily excursions. The top zippers open to a chocolate brown interior fabric with side zip pockets storing daily essentials. 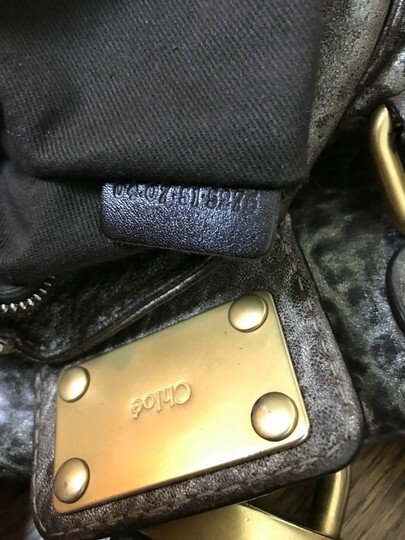 Excellent condition: One owner. 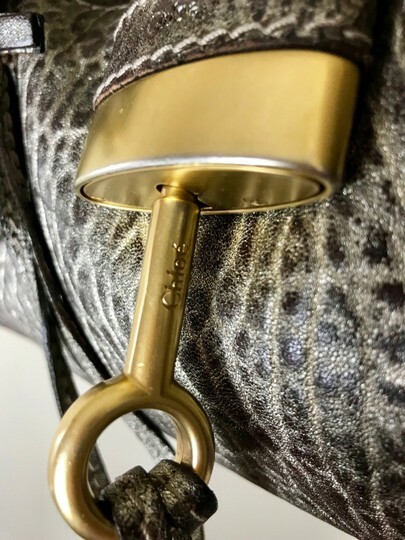 Pet and smoke free home. 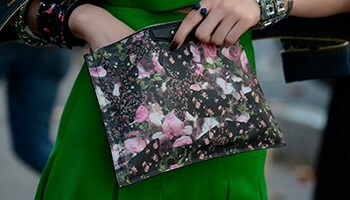 Accessories: dust bag, large padlock and key. 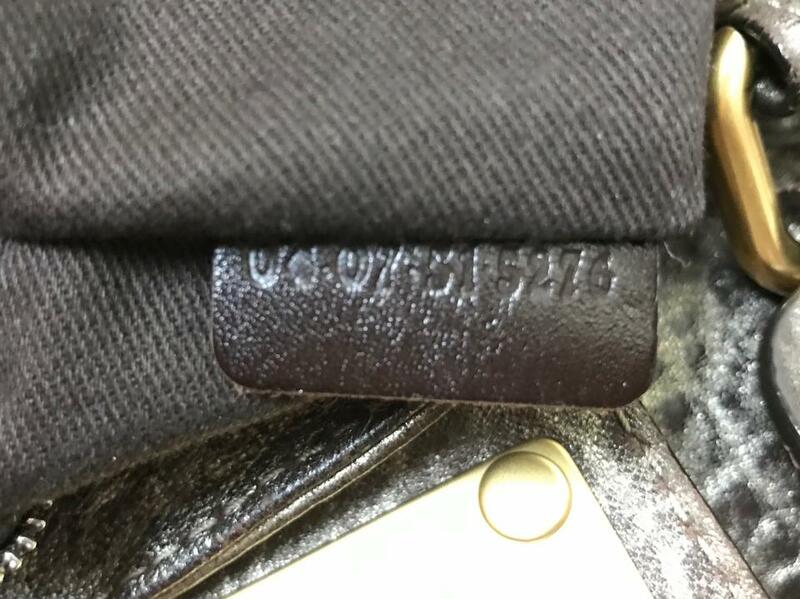 Authentic serial number stamp: 04-07-51-5276.